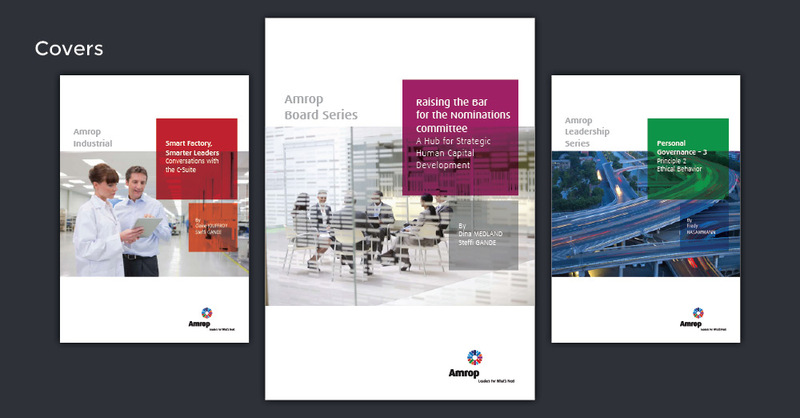 Amrop – Executive Search & Leadership Services Firm – committed us to design the 40th anniversary logo of Amrop, the Christmas card 2017 and redesign the covers of their brochures. For the brochures, the challenge was to find the right balance between the graphic elements (image, boxes, etc.) and the text fields (title, sub-title, author, theme, etc.) An additional challenge was to supply all the covers in Word® which is not a professional design tool! But Acapella is open to using whatever software suits you best. In all cases, we perform with due professional care. As we did here, designing 29 covers in time, as usual.